Customer loyalty programs have been popular for years now, but thanks to the increasing technology of the world today more and more businesses are getting involved and the abilities of these programs are greater than ever. Gun shops are among the latest businesses to get in on the customer loyalty program fun, and so far, so good, with positive results being saw time after time. A customer loyalty program is a program designed to help shoppers save money when shopping with your business. They are usually presented on little cards that are given to each customer who enrolls. The card is swiped or scanned during each transaction and the appropriate reward is given for that purchase. Various types of retailers participate in such programs, including retail businesses, supermarkets, jewelry stores, auto mechanic shops and many others. The rewards vary, but they are usually good enough to attract many people their way. Some offer discounts, others offer freebies, but they all offer amazing discounts. Since gun shops typically do not have the same flow of customers as these other types of establishments, this type of loyalty program is unlikely to result in customer excitement. However, thanks to text message marketing, those loyalty programs are revamped and gun shops can very much implore them into their schedule. Thanks to text message marketing, the benefits of the loyalty program can be extended to include discounts, coupons, clearance offers, promotions, freebies and more, all of which any gun shop can benefit from offering. Loyalty programs completed via text message marketing are preferred by customers, and 53% more likely to be used than offers sent via email. You send your messages only to those who opt-in to receive them, so there is not wasting time with people who aren’t really into what you can give them. When creating a text program for your gun shop, keep a few things in mind. – Your most important responsibility in text message marketing is to engage the customer with the offer that you are giving them. Whether it is a one-day half off sale on selected guns or a coupon for 25% off their entire order, make the offer count to make the most out of your loyalty program. – Send offers regularly, but do not bombard customers with texts. Some people may have a limited number of texts per month and certainly will not appreciate tons of texts. One per weeks is ideal, unless there are other special deals that cannot wait. – There are three levels of a text message customer loyalty program. First, you must get the individual on your list. Usually this involves giving them a free offer. Second, you must contact them with a offer personalized just for their needs! Third you must communicate with the customer. These three levels are required to be successful in your customer loyalty program. – Quality is more important than quantity, so make sure that you never impose on the quality of what you are offering in order to gain more names on your list. Customers will stay with you only when they feel connected to you and as if they are a part of something good. You need to give in order to receive, and this means always putting the customer and their quality of services ahead of all else. – Your customer loyalty program can include several faucets of rewards. Keep those rewards as personalized to the individual as you possibly can. 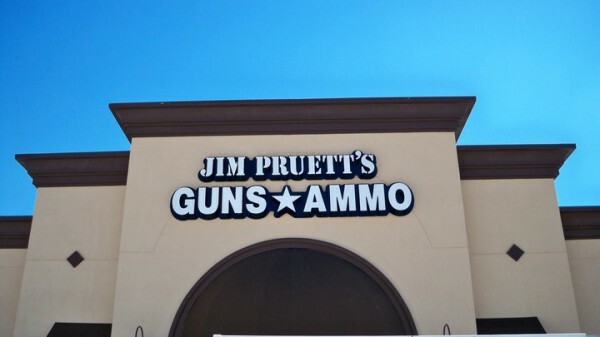 As the owner of a gun shop you are probably always looking for ways to attract more business your way. With the help of the new and improved customer loyalty programs, you can do just that with specialized offers and much more. Consider stepping into today’s technology and help your business grow!